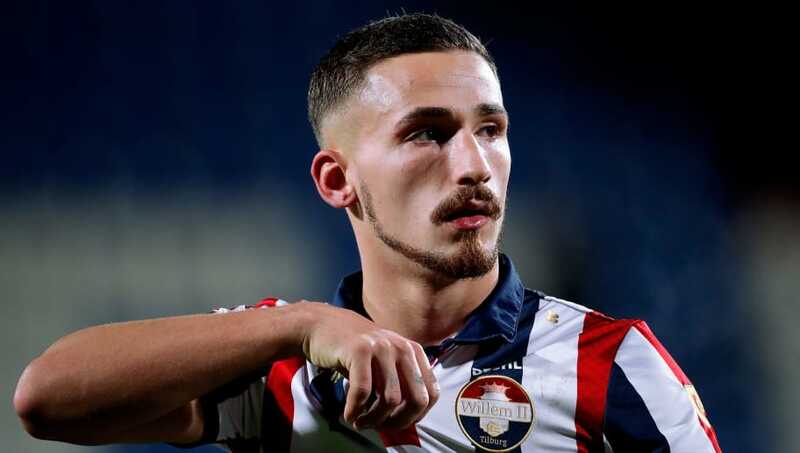 Arsenal and Juventus have revived their interest in Willem II midfielder Donis Avdijaj, according to reports from the Netherlands. The 22-year-old was a target for many European clubs in his time at Bundesliga side Schalke, before eventually finding his way to Willem II. After some impressive performances in the Eredivisie this season, Dutch publication ​SoccerNews.nl are reporting that Unai Emery's ​Arsenal and Serie A giants Juventus have registered their intentions to sign the playmaker in January. The former Germany U19 turned Kosovo international has sparkled since his arrival in the Netherlands, with four goals and two assists to his name in the Dutch league. Avdijaj has been even more prolific in the KNVB Cup where he has scored four times in just three appearances in the competition. The 22-year-old enjoyed a remarkable youth career at Schalke, with 59 goals in 53 games for the ​Bundesliga outfit's U17 side. Despite his goal-scoring form for the Schalke youth teams, Avdijaj was sent out on loan to Austrian side Sturm Graz for two successive seasons, and was instrumental in leading them to fourth place in the league in his first year at the club. 6 – Donis Avdijaj (4 goals & 2 assists) has been directly involved in six of the eight goals @WillemII have scored this KNVB Cup campaign. Valuable. After sporadic appearances back with Schalke, the forward was loaned out once more to Dutch side Roda JC in the 2017/2018 campaign, before joining Willem II on a one-year deal last summer.